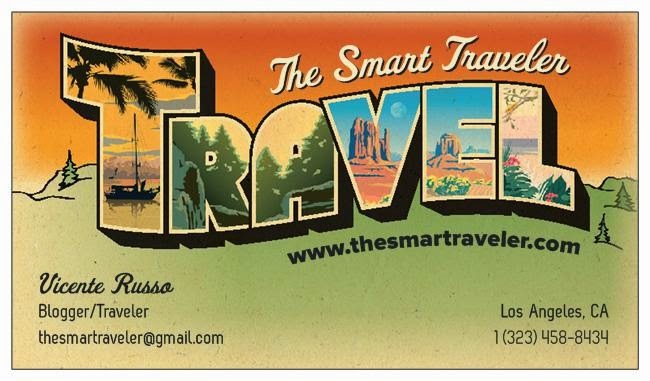 The Smart Traveler: Cruise Critic: Don't go on a cruise without it! Cruise Critic: Don't go on a cruise without it! I booked a cruise to Europe in July 2008 on the Norwegian Gem. We would be visiting Barcelona, Malta, Naples, Rome, Florence and Cannes. At first I decided to book the shore excursions with the cruise line, until I heard about this site called: Cruise Critic. Once I read the reviews from people that had done the same cruise and their experiences on board and on land, I changed my mind, and I was glad with the results. 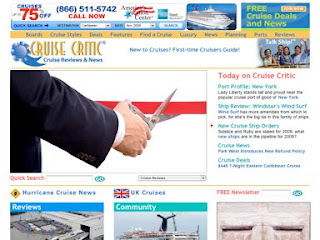 Since its initial launch as part of America Online in 1995, Cruise Critic has become one of the internet’s foremost sources of cruise reviews, industry news, ship information,destination profiles, and interactive passenger feedback. With more than 160,000 registered members, prospective passengers are sure to find someone to correspond with about their cruising experience, whether they’re a first-time passenger, a cruise veteran, or interested in a unique port or themed cruise. So, I signed into this site and searched for cruise reviews for Norwegian Gem, the company's "It Girl" that offered the newly launched Freestyle Cruising 2.0. The Norwegian Gem feels more like a resort than a cruise ship. You don't have to be at the restaurant by 8PM and eat with a bunch of strangers. You just make a reservation and show up for a relaxing meal with your family in one of the 12 restaurants on board. Yes, 12 restaurants to choose from, Texas-style steakhouse, gourmet French bistro, Italian trattoria, Asian Fusion restaurant, just to mention a few. I read all about the on board experience, the fantastic gym, the pools, the shows... and then I read about the disastrous experiences with the land tours. The time wasted waiting for the bus and for fellow passengers to return after a stop, the stops at tourists traps shops, the annoying guides, etc... So I went on line and found local tour companies and hired them on each port of call. This wasn't just a lot cheaper than booking with the cruise line, but much more time efficient and pleasant. For example, in Naples, I bought tickets for the ferry to Capri and there I booked a boat to take us around the island for three hours. It was a great experience and I have pics to prove it. 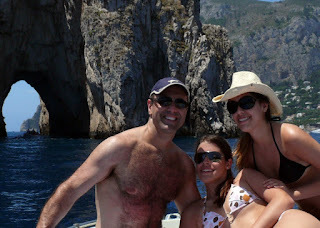 After that we had the best pizza we ever ate, roamed around Ana Capri, taking in the breathtaking sights of this wonderful island and returned to Naples in the afternoon. Again, a great day for E400, with an English spoken driver and a Mercedes, not a crowded bus. So, when I came back I posted my experience on Cruise Critic. You can even meet people before your cruise that share the same interests, and maybe plan a tour together. This site is a powerful tool that everyone should use when planning a cruise!